We've been in love with Urban Outfitters' beauty section for quite some time. The retailer mixes beloved classics (think Anastasia Beverly Hills, Mario Badescu, and St. Tropez) with under-the-radar and indie brands (like Lime Crime, It's Skin, and Milk Makeup) to achieve a well-rounded and eclectic curation of all things cosmetics and skincare. Most importantly, many of the products and brands sold here focus on natural, vegan, or cruelty-free beauty, which is something we're totally on board with. Speaking of natural and cruelty-free, one of the newest products to hit UO's online store is creating some serious buzz. 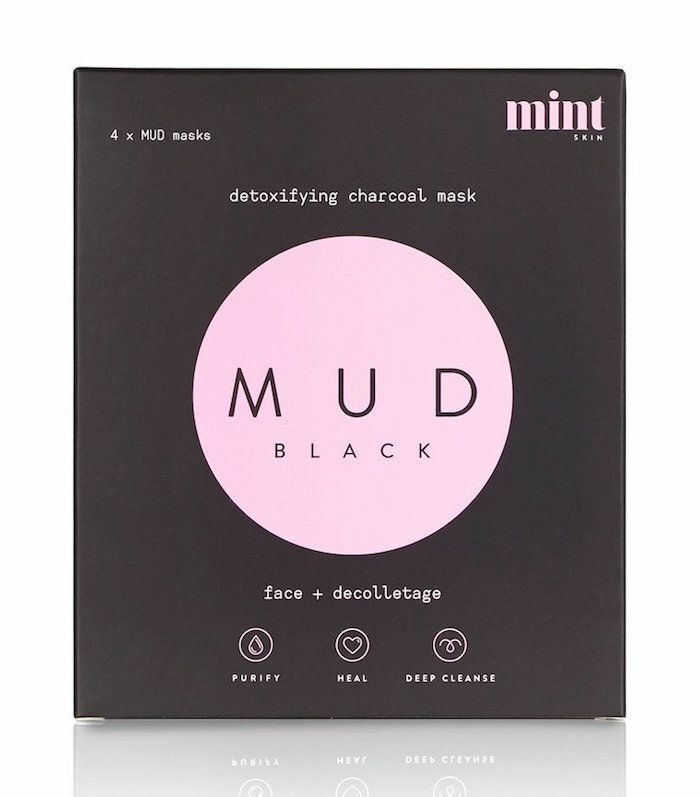 Meet the Mint Skin Mud Black Mask ($19). It's laden with rich, detoxifying charcoal; smells fresh and lovely; and tackles a number of skin woes. The numbers don't lie; it sold out within a month of launching and is currently back-ordered until August 18. Keep scrolling to see how you can get your hands on this buzzy new mask. Mint Skin is an Australian brand that locally sources all of its ingredients in Australia. We wrote it up in April as one of our favorite launches because of ingredients and efficacy. You can be sure that each product is developed in a cruelty-free manner and with completely natural ingredients. Take this mud mask, for example. Activated coconut charcoal clears and detoxifies pores while Bentonite clay absorbs toxins, and aloe vera gel soothes and hydrates the skin. The last star ingredient is essential peppermint oil, which gives the mask its fresh scent and wake-up-your-face effect. Because it's not a peel-off mask, you don't have to worry about irritation either. Simply apply, wait until it dries, and remove with water. Take it from the customers themselves. One Urban Outfitters reviewer writes, "This did wonders for my skin! Your skin glows after one mask. Love this brand and all their products." It's still available for purchase online, though it's back-ordered until later this month, but hey—if this mask lives up to the buzz, it will be totally worth the wait. While you wait to receive this mask in the mail, shop our all-time favorite clay masks!